Snooker’s ‘Masters’, sponsored by Dafabet again in 2018, is always one of the most eagerly anticipated tournaments on the snooker calendar at the Alexandra Palace in North London. Dafabet’s latest welcome offer for all new accounts is pretty decent. If your first bet loses (up to £30 max), then Dafabet will refund your stake as a free bet token so you can have another snooker bet or any other sports bet you wish. The Masters snooker competition was staged for the first time back in 1975 and from 1984 onward it has been restricted to the Top-16 players in the world snooker rankings only. Remarkably there has only been one back-to-back winner of this competition since late Paul Hunter claimed the title in 2001 and 2002. That was Ronnie O’Sullivan who landed last year’s Masters in addition to his 2016 victory. The ‘Rocket’ also won this event in 2014, 2009, 2007 and 2005. O’Sullivan is top-priced 5/2 for outright glory (with William Hill) and he is one of just four players priced at 10/1 or shorter in the outright Masters snooker betting list which features, like the competition, the current top-16 in the World Rankings. The five-time World Champion has been in irresistible form in recent months winning three ranking tournaments – the English Open, Shanghai Masters and UK Championship. Ronnie has played seven in total, reaching the quarter-finals of the China Open and Scottish Open, the third round of the Northern Ireland Open and was a first-round casualty in the International Championship. Everything considered, 5/2 appears to be value about the 42-year-old and that is something rarely said about the popular London cue-man. However, if Ronnie O’Sullivan fails to lift the trophy his demise may well come in an early round when he is a short-price in a match-up. Let us not forget it was little known Elliot Slessor that eliminated him from the Northern Irish Open and his defeat of Sunny Akani in the last 16 of the UK Championship came under near biblical circumstances. So our snooker betting advice here is simple, back Ronnie O’Sullivan for outright victory while investing a few pennies as a ‘saver’ snooker bet on Marco Fu to beat him in their opening round match (available at odds of 16/5 Boylesports). If O’Sullivan is a fancy for outright glory, we have the exact opposite opinion of Judd Trump who is our idea of an outstanding ‘Lay’ bet. His ability is unquestionable but Trump rarely delivers the goods. A player of his ability should have won more than seven ranking tournaments in eight seasons and given he has claimed his obligatory one in 2017 already. Furthermore Judd Trump has a poor record in this competition, being eliminated in his opening Masters snooker match in three of the past four years. So, with Ladbrokes offering an outstanding 12/5 (3.40) about first-round rival Liang Wenbo (as short at 7/4 (2.75) with rival firms) we think the last year’s English Open winner, who has survived the opening round of the last six ranking tournaments he has played, is worthy of cheeky Masters snooker bet here. On recent form there is very little between Mark Williams and Mark Selby. Selby may have claimed the last two World Championships and landed this season’s International Championships but his 2017/18 season CV features a lot of early eliminations. 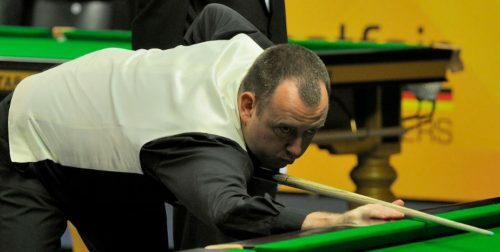 Mark Williams, whose World Championship triumphs came in 2000 and 2003, has also won a ranking event – the Northern Ireland Open in late November – but he has shown far more consistency than Mark Selby with quarter-final appearances in four tournaments and a run to the semi-final of another during the current campaign. It is some record from the nine events he has played. The duo have played together 30 times and won 15 apiece. They have also played 241 frames in the process and it is Williams that has claimed 122 of them. Their last meeting was in this season’s Shanghai Masters when Williams won 5-3. This has the hallmarks of a close game, Williams is the marginal call on the snooker stats but a must bet given his price – 19/10 (2.90) is up for grabs at BetStars.